Nobody wants to be labeled basic! But, listen up. There’s nothing #basique about a basic tee! They are the staple that holds the cutest of outfits together, and we’d be nowhere without them. So put aside your preconceived notions about basics being overrated because we are about to show you 5 ways to make your favorite tee feel one of a kind, especially with these updates! See 5 ways to style these not-so-basic tees! Let’s face it. Everyone needs day on the weekend where you’re in head-to-toe comfy clothes. 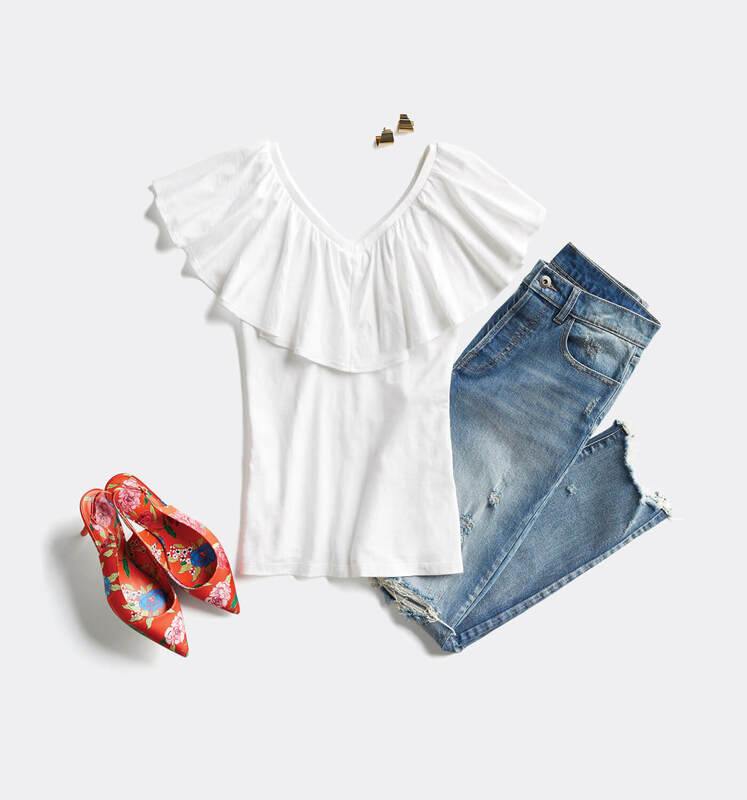 A clean and crisp, white t-shirt is the perfect starter package for this outfit. We recommend a simple, cotton v-neck with some cute leggings and a pop of color. The classic jeans and a tee-shirt is an easy pick for any day of the week. But we think every outfit should be given special attention, so next time you go for ‘the classic’ look, opt for a little flair! 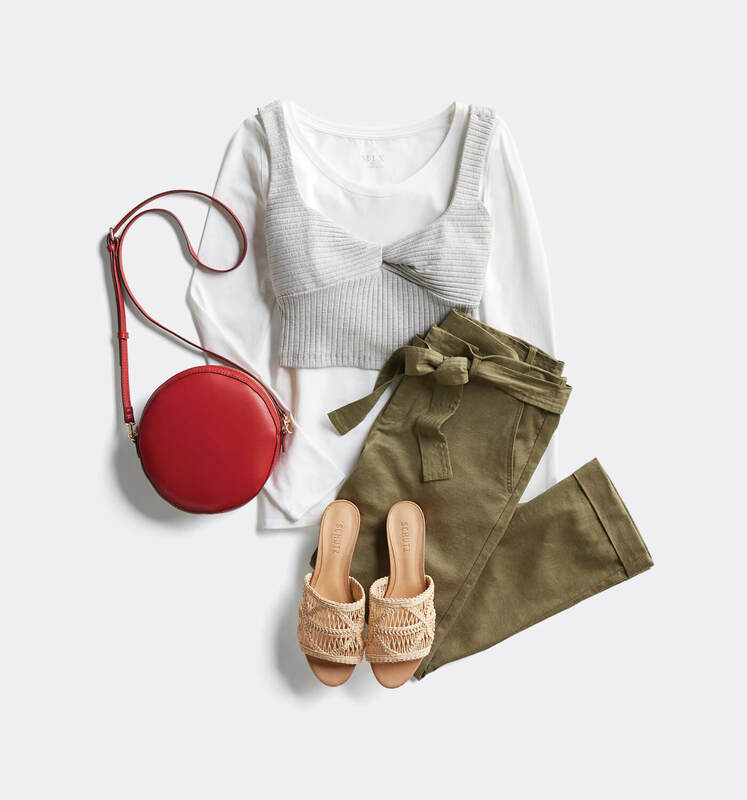 A tee with some interesting detail (like this fun and flirty neckline) or these killer shoes are an awesome way to turn up the volume on an everyday favorite. Long-sleeves under short-sleeves are making a comeback! Play with texture, pattern and now length when you’re putting together your usual tee and something-else combo. Stylist Tip: Bleach. Your. Whites. Don’t skimp out on laundry day when it comes to a load of whites. Adding just a little bit of bleach to your wash keeps your tees looking fresh, not dingy. Dying to wear your favorite sundress, but not looking to show as much skin? Look no further than, you guessed it, a t-shirt! This #trending look for spring and summer is a super cute way to sport your favorite mini-dress in more conservative settings. 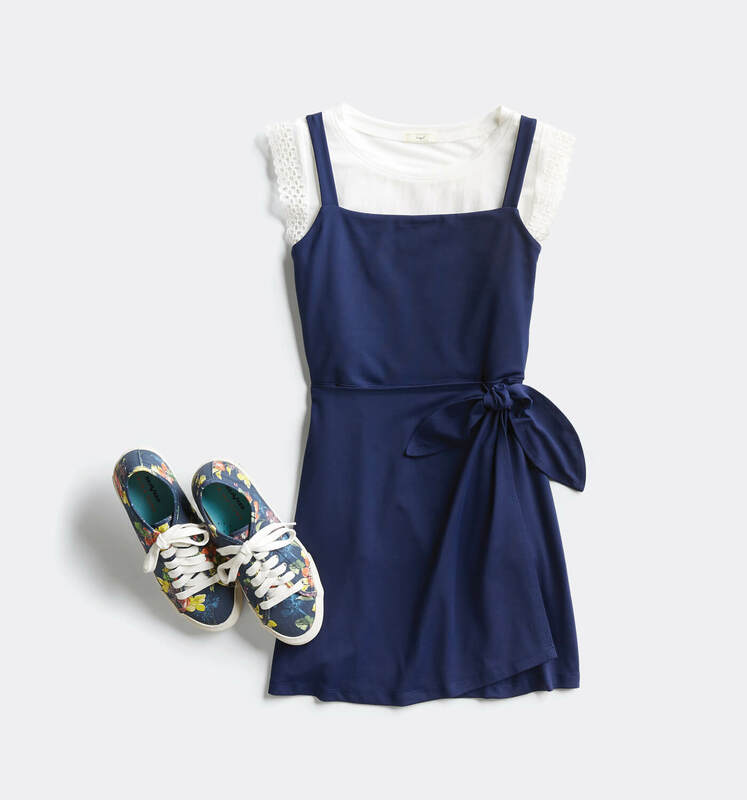 We love the sweet and playful vibes of this look. Think of this clever layering trick as a modern response to the good ol’ sweater vest. But instead of the usual frumpy pullover look, you can wear your favorite cropped jumper! 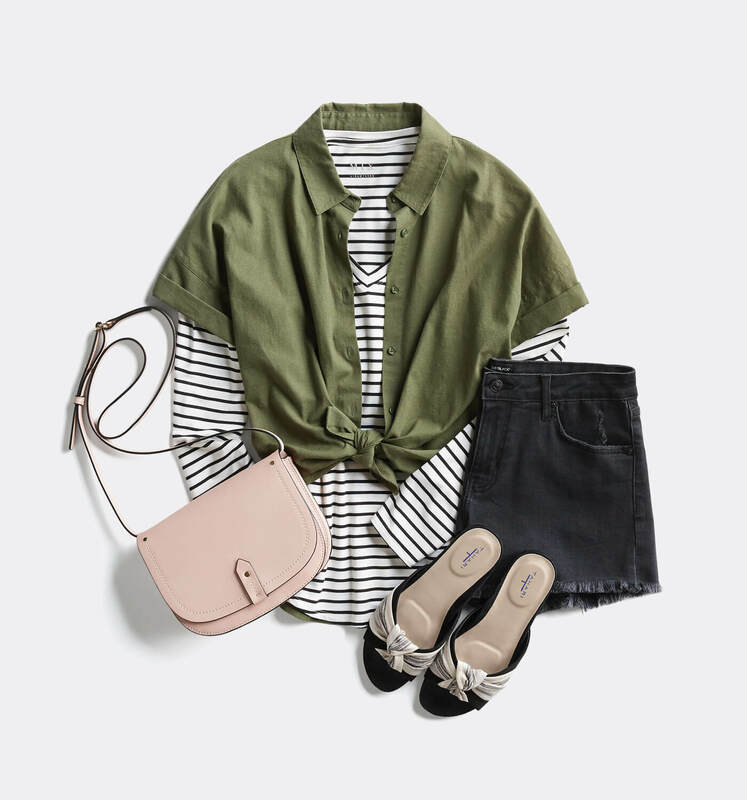 This figure-flattering look is a fresh take on layers that mix clean, preppy lines with edgy, modern vibes. See? Told you basics don’t have to mean passé. Our essentials can be the starting point for looks that are sure to wow. So next time you reach for your favorite t-shirt, think if it as the building blocks for your next jaw-dropping, awe-inspiring, absolutely perfect outfit to-be! Ready for new basic tees? Schedule a Fix and tell your Stylist you need a tee-fresh!